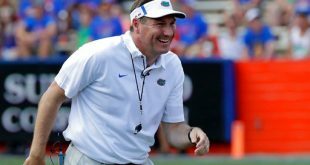 The Florida football team is gearing up to open conference play this weekend as it plays Kentucky this Saturday in the Swamp. 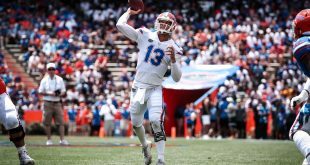 The Gators dominated Eastern Michigan 65-0 last week where Florida unleashed its revamped up-tempo offense racking up 655 total yards while giving a lot of the back ups, including true freshman quarterback Treon Harris some experience as the squad cruised to their first win of the season. Now, Florida has turned its attention and focus to preparing for its next opponent – the Wildcats. Defensive coordinator D.J. Durkin and a few of the Gators discussed the team’s preparations and overall status heading into this weekend’s SEC matchup. Some unfortunate news is that true freshman cornerback J.C. Jackson will undergo shoulder surgery next week to repair a torn labrum that limited him in contact drills during fall camp. Jackson injured his shoulder during Florida’s season opening win over the Eagles and will be out for the rest of the season. Gator head coach Will Muschamp says the injury was a carry over from Jackson’s high school career. 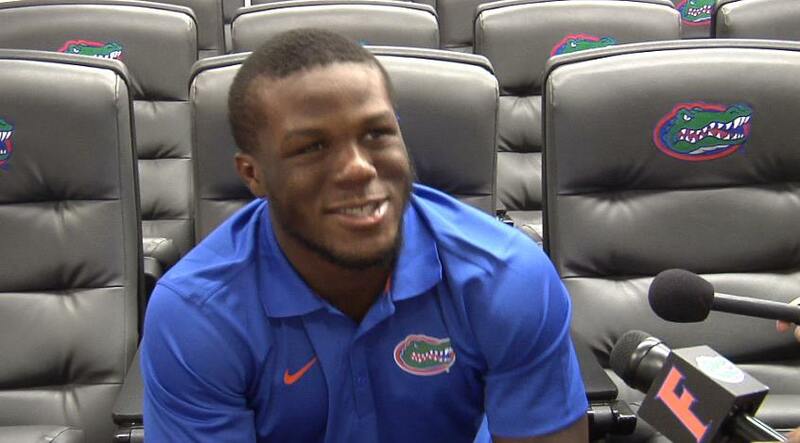 He added that Jackson will redshirt, which will give him four full years of eligibility. 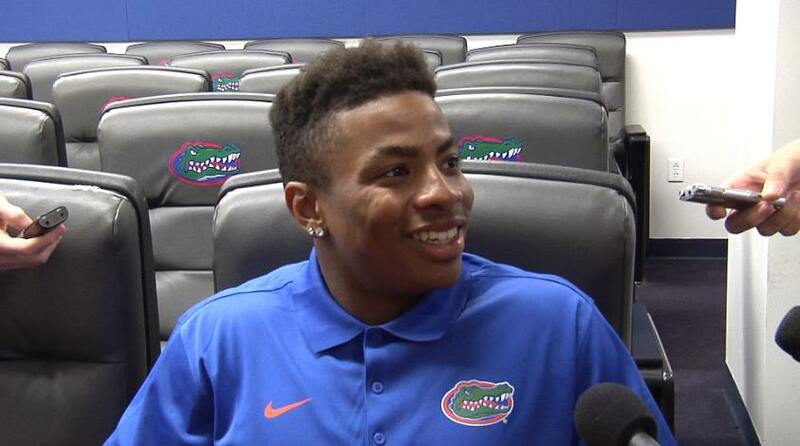 Jackson was one of four true freshmen in the playing rotation in the secondary in the opener, alongside Quincy Wilson, Jalen Tabor and Duke Dawson. Durkin plans to continue rotating players in the secondary and says it’s man down, man up; and he is looking forward to seeing some of the newcomers step up and fill the void. 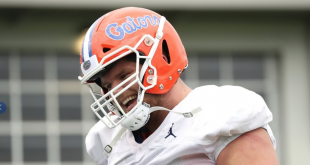 The Gators are making a few other adjustments in the wake of a high ankle sprain injury to junior offensive lineman D.J. Humphries. 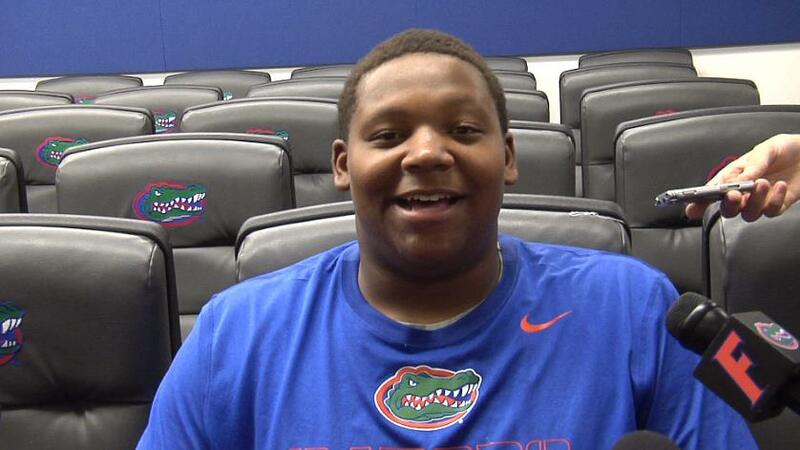 Fifth-year senior Chaz Green will replace Humphries, moving from right tackle to left. Humphries is expected to be out for two weeks and redshirt freshman Roderick Johnson will be the new starter at right tackle. Meanwhile, sophomore defensive back Marcus Maye, who was out for Florida’s season opener due to a hamstring injury, is expected to return to the gridiron, hopefully on Saturday. 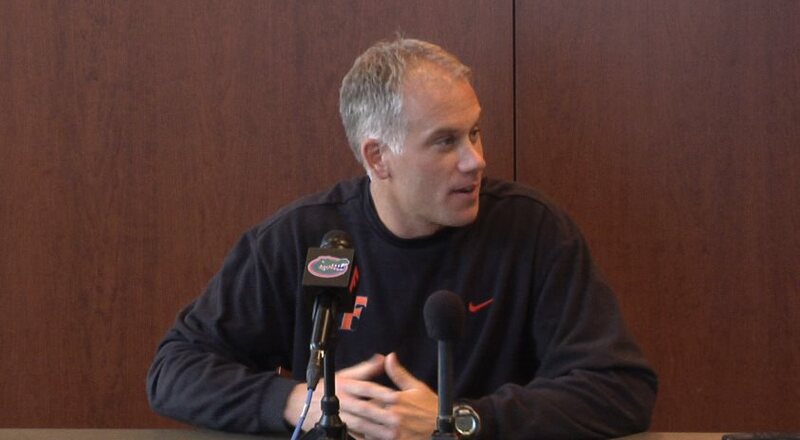 Durkin says he’s not 100% certain if Maye will play this weekend but will have a decision within the next few days. The Wildcats are 2-0 after hammering UT-Martin 59-14 in their home opener and then beating Ohio University. Despite the schedule getting tougher, Green says Florida is hoping to get its 28th consecutive win against the Cats on Saturday. 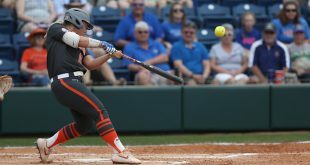 “We put on a good show and that was something to applaud, but this is SEC ball now and we know the level of competition definitely steps up and takes another jump,” Green added. Durkin added that Kentucky is a very talented team and says taking on the Wildcats may be a bit of a challenge for the squad. 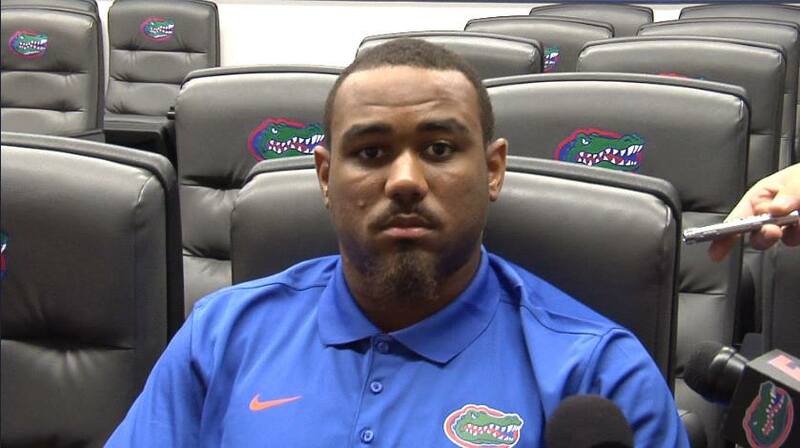 Redshirt senior linebacker Michael Taylor says he’s ready to take on all opponents, especially SEC rivals. The Gators welcome the Wildcats to the Swamp this Saturday. Kickoff is set for 7:30 PM and you can catch all the pregame action on ESPN 850 WRUF beginning at 3:30.